Instaforex offers two types of forex bonuses, but the 30% one is clearly the best. Not only is this an instant forex bonus - so the bonus is added to your account immediately- you can also get it multiple times. This 30% bonus (meaning 30% of your deposit is added as an extra to your account) is in essence a forex reload bonus, because you will get it every time you deposit. It is even stated in the T & C that you are allowed to have multiple accounts. When you open your account you have to chose between the fixed bonus and the 30% bonus. In their T & C it's stated that you can't receive the 30% forex bonus(es) after you've already received a bonus of another type, so we advise you to go for the 30% bonus instead of the fixed bonus. Bonus will be added to your account immediately in case of 30% bonus. In case of fixed bonus, it will be added withint 24 hours after depositing. The principle for Mac users is the same as for windows users. However, since forex-metal uses the Metatrader 4 trading platform exclusively, you will first need to know how to install metatrader on your mac. This is possible, but requires some work. more on this: how to use metatrader4 on mac. You deposit $500 and chose the 30% bonus. instaforex will add 30% of your deposit ($150) as a bonus to your account, so that it now totals $650. A month later you decide to deposit again, this time $900. instaforex adds adds 30% of that deposit ($270) as a bonus to your account, so that it now totals $1,170. If you chose the fixed bonus, the height of the bonus depends on your deposit as well. See Bonus Details below for exact amounts. The big difference with the 30% bonus is that you can only get the fixed bonus once. 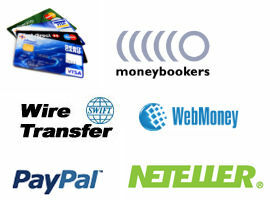 not less than 50000 USD – for Bonus 5000 USD to an account. To withdraw the bonus, you must have traded 3 times the amount of bonus in lots (X * 3, where X is the total volume of received bonuses). 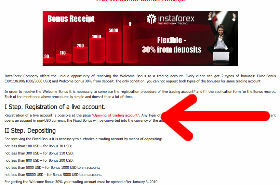 Meaning if you received $100 in bonus, you must trade 300 instaforex lots before you can withdraw the bonus. You can however trade with it right away. You can get this bonus with each new deposit. Forex broker instaforex was established in 2007 and is part of the InstaForex Companies Group. It's regulated by the Russian regulator, the Federal Financial Markets Service (FFMS). instaforex boasts more than 200,000 clients worldwide and offers MetaQuotes Metatrader platform to its traders, which is universally recognized as one of the best trading platforms available on the market. instaforex allows leverage of up to 500:1 and lots that start at 0,01 (1 pip = 10 dollar cent) also known as micro lots. The minimum deposit is $1, and because the lot sizes start so small, you can start your trading career at instaforex with just a couple of bucks, trading for dollar cents while learning the ropes. instaforex offers support in multiple languages, including English, Arabic, Chinese, Russian, German and French. Apart from the excellent trading platform and the big corporation that instaforex is part of, the 30% forex reload bonus is one of the best things about instaforex. It means you'll get an instant 30% buffer zone between your trading mistakes and your forex trading capital, which can protect your quite a bit. 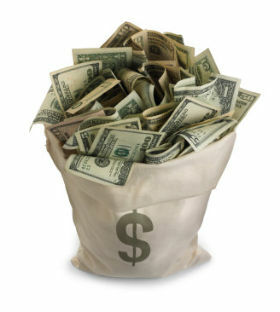 Forex reload bonuses are rare, simply because a big instant bonus is already pretty expensive to the forex brokers. The fact that instaforex offers a reload bonus signals they're serious about expanding their market and try to become one of the leading forex brokers.